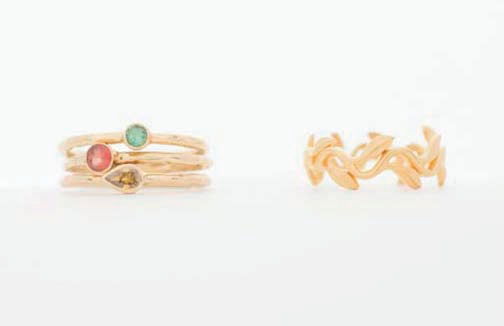 When you photograph your jewelry, you really need to put it in the best light possible! 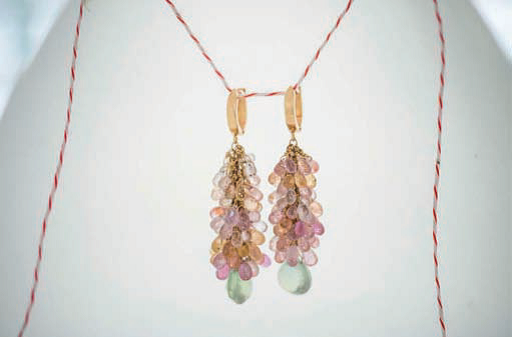 “It’s all about the light,” says professional photographer Azur Mele, who specializes in jewelry, gems, and minerals. It’s what everyone figures out very quickly when photographing almost anything, but jewelry especially. What those of us who aren’t professional photographers don’t figure out so quickly is how to get the light right. Getting the light perfect for what you’re shooting and how you want it to look is an ambitious goal. My thinking is shoot for the stars, sure, but embrace something more approachable than perfection. 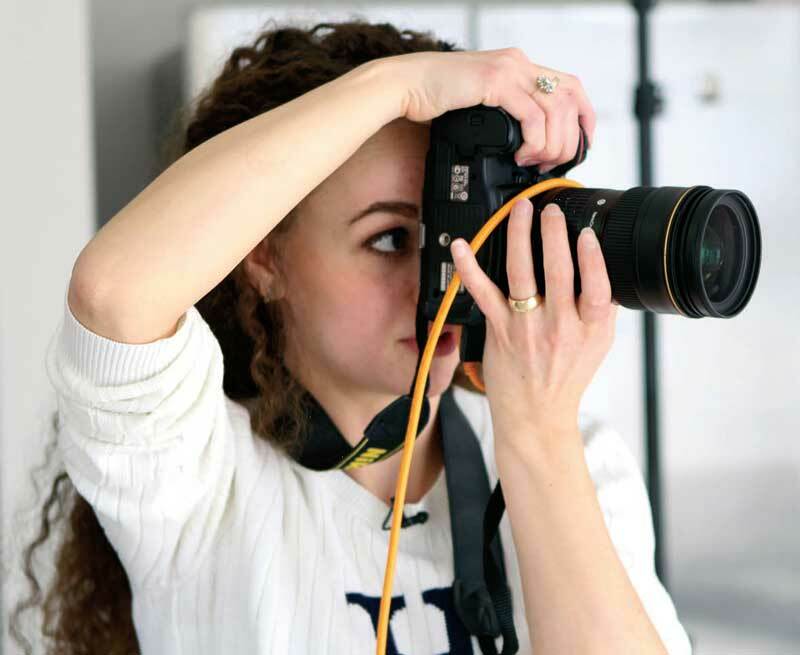 Fortunately, there are things you don’t have to be a pro to accomplish that will improve your lighting and your jewelry photographs significantly. If you sell your jewelry or are thinking about selling it, you know that good photographs of it aren’t a matter of choice. They’re essential, no matter where you expect them to be seen. Do you have an Etsy shop? You need good photos. If your marketing plans include Instagram, Pinterest, Facebook or other social sites, you need good photos. Are you working on your own ecommerce site? Just want to add some high-profile visibility to your craft show booth? What do you need? Good photos! So learn how to take them from a pro. 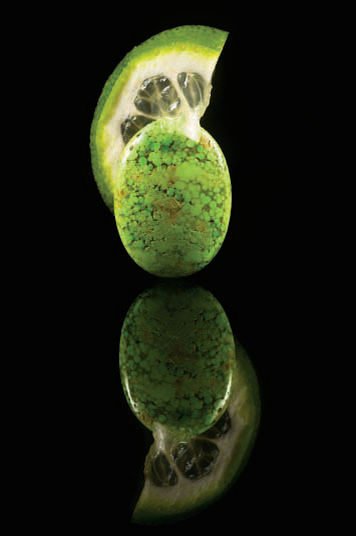 Here’s a quick tutorial from Azur on using a cone to help manipulate your light and how best to shoot with it, which first appeared in Lapidary Journal Jewelry Artist. Best of all, in her demo she uses a light source we all have easy access to at least some of the time: the daylight right from your window. Anyone who makes and sells jewelry knows how hard it can be to take professional-looking photos of your pieces. 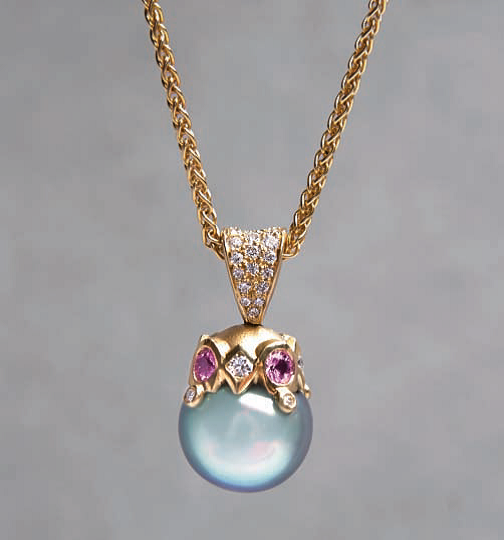 And good images are vital to presenting your jewelry for sale. But getting your images just right can be very difficult if you’re an amateur photographer. Shooting rings and earrings can be particularly hard. 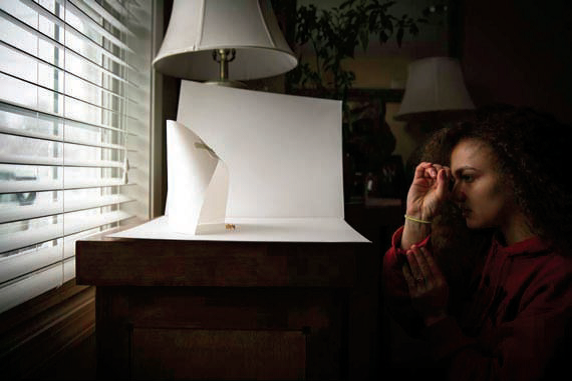 But here is a simple method for getting great shots every time. 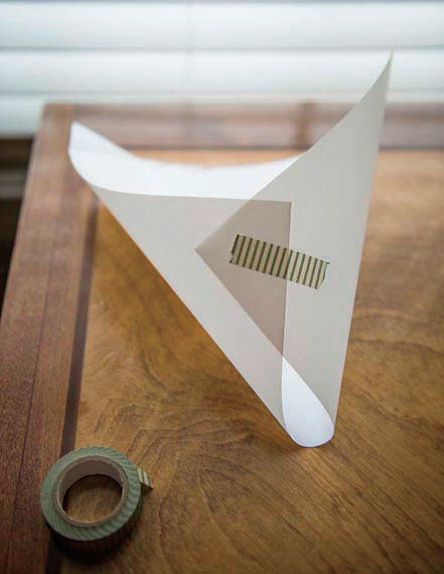 Photo 1 Use the slightly transparent paper and tape and make a cone with a small top and large base. Photo 3 Place your cone with the large opening facing you so it is back-lit by the window. 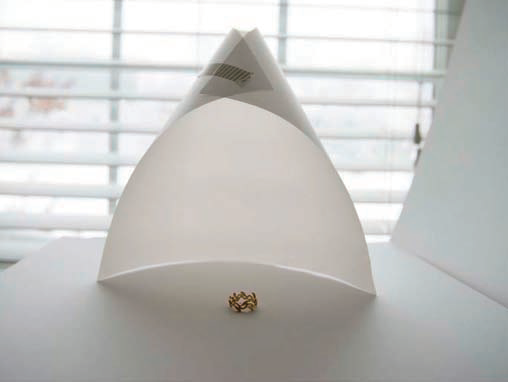 The cone will soften the light and wrap white around your pieces. Set up your camera on a tripod. Lower your camera so you are level with the piece you are photographing. 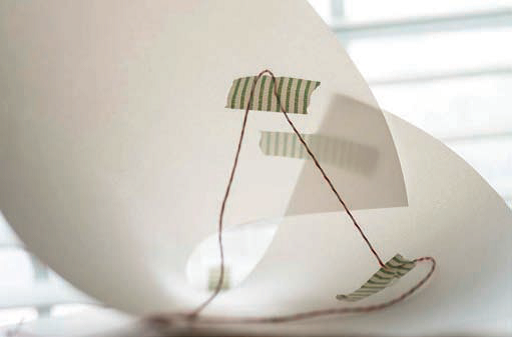 Adjust the cone so you see the white reflections of the paper on the rings. If you see black areas on the rings, make the cone tighter so there is more white wrapping. The further in front of the rings the paper comes, the cleaner the metal will look. Adjust your camera’s setting for your available light, creating the best exposure for the rings. Photo 4 This is a view of a rings setup from the camera angle. Make sure to use a tripod. Your available light will most likely be low, so you will need to be able to have your camera steady and still, which will let you use a very slow shutter speed. Photo 5 Here’s an image of the setup without the cone. Take your photos. If you want to blow out your background and create a composite shot in Photoshop, be careful not to move the camera. Photo 6 Take two separate shots. Use the cone with the following settings: 70MM; ISO 100; 1/50 sec @ f 5.6. Then take a shot using the following settings: 50MM; ISO100; 1/15 sec @ f/ 5.6. Photo 7 Here’s the composite final image — with a little Photoshop magic. Photo 8 For earrings, I use string and tape a small section of string on the inside of the cone to create a place to hang the earrings. 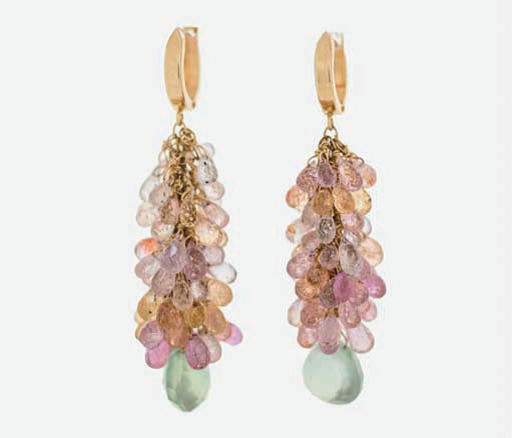 Once you have fought the earrings into position — not the easiest task! — set your camera on the tripod. Photo 9 Adjust the cone so you see the white reflection wrapping onto the earrings. If you see black areas on the metal, make the cone tighter so there is more wrap. Photo 10 I used these settings: 50MM; ISO100; 1/200 sec @ f/ 2.8. Here’s the final image after some adjustment with Photoshop. 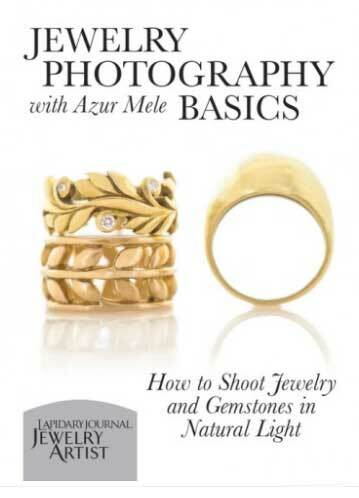 You can find out much more about photographing your jewelry from Azur in her first video, Jewelry Photography Basics: How to Shoot Jewelry and Gemstones in Natural Light. Why stop there? 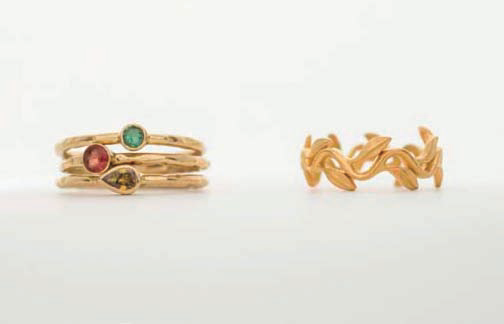 Jewelry is meant to be worn – on the human body, against cloth or skin, hanging, dangling, spinning, or lying flat. 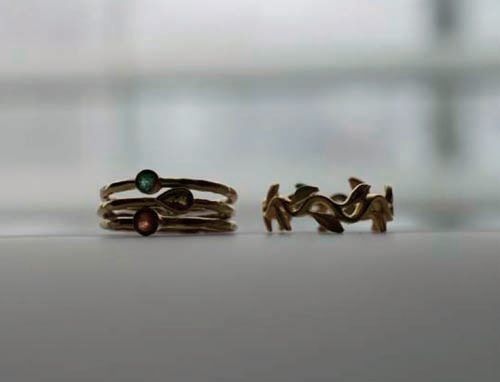 Jewelry photographed on someone shows how it looks in “real life” – not just in a case or on a display form. 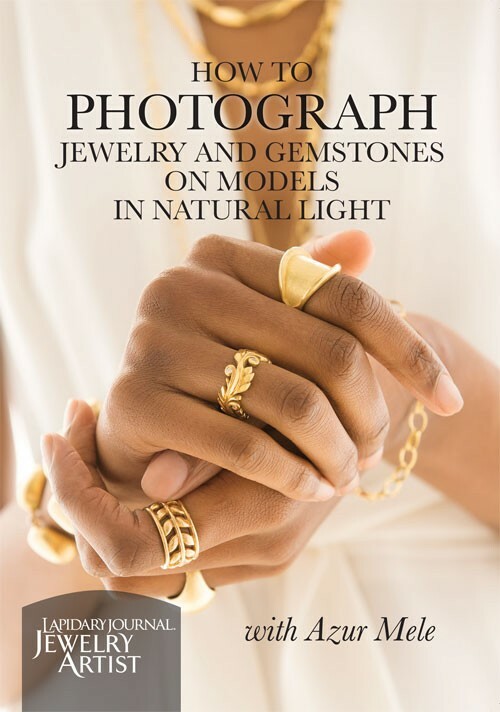 Photographing jewelry on a person also presents its own challenges, which Azur addresses in her second video, How to Photograph Jewelry and Gemstones on Models in Natural Light. 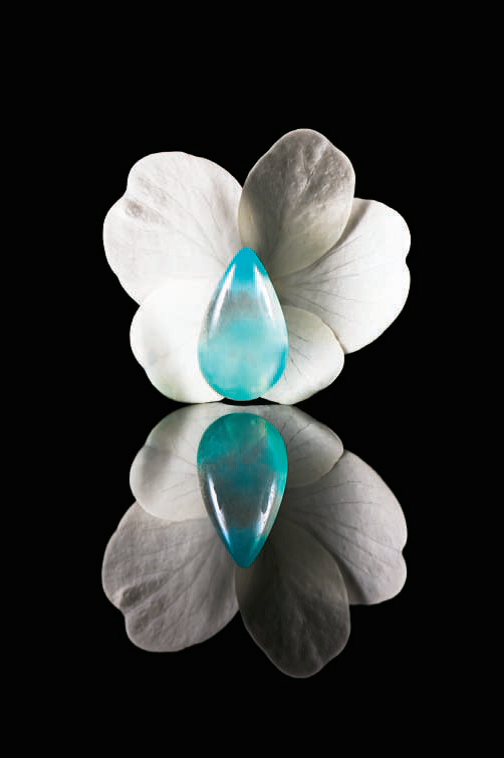 For more with Azur, read this Q&A: Gem and Jewelry Photography: Professional Tips and Advice for Taking Professional-Quality Jewelry Photos. Get these great photography resources in our shop!